Take the Cactic Fitness modular gym as the first example. You create the gym you need to achieve your workout goal. 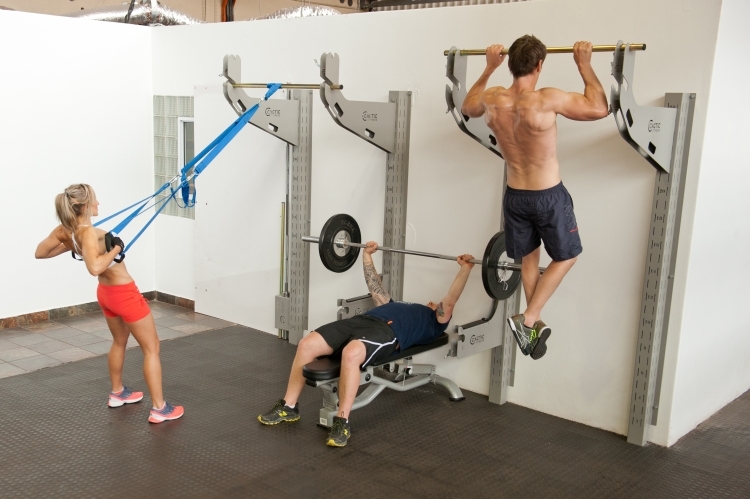 The gym is based around a wall mounted column on to which various modules are attached. You decide if you want a single or double column solution and whether you want to look at using body weight or bars and weight plates. Whatever your preference the Cactic Fitness solution can be tailored to your fitness needs and budget. With new modules being introduced on a regular basis you can add new modules as and when you want. A typical single column solution allows for dips, leg raises, pull ups, sit ups, tricep dips, bicep curls, tricep extensions, shoulders, push ups, hand stand push ups, lats, legs and a cardio workout costs approximately R 4 000.00. Versatile single station setup that gives you more options than you might think. If you are more into heavy weights and need to bench or squat with bars and plates you would need a budget of between R 8 000.00 and R 12 000.00. 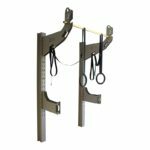 This dual column station allows you to squat, bench and do pull ups. Made for heavy lifters. The modular nature allows you to create the gym you want, in the photo there is an example of the four column version which is probably more suited to personal trainers and commercial facilities. You can extend the modular setup with as many columns as you want. This photo illustrates the versatility of the Cactic gym. Accessories recommended are rubber loops, anti-burst gym ball and for the heavy lifers, Olympic bars and plates. 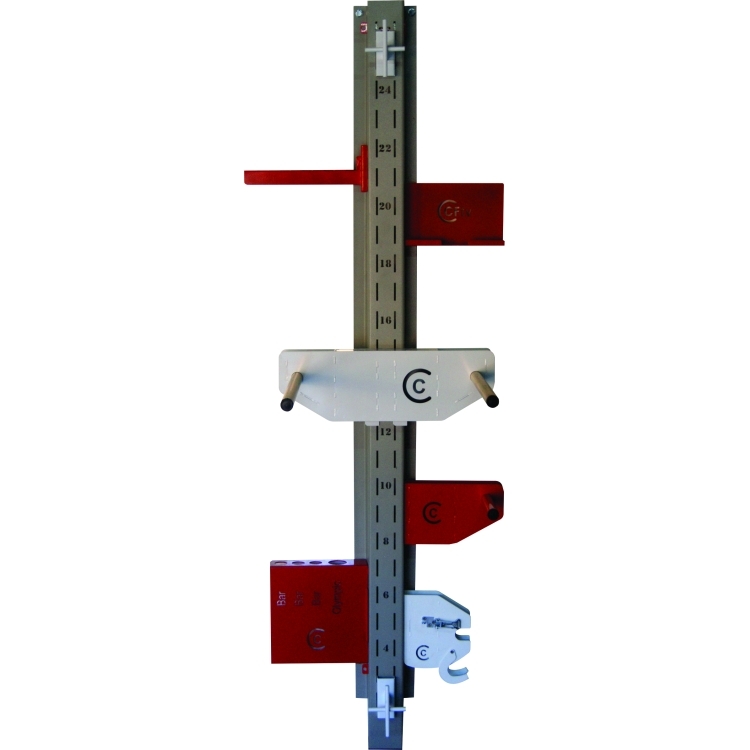 Bear in mind that in both solutions the modules can be stored on the side of the wall mounted columns leaving the room open to be used for other purposes. If space is a problem the garage might be the perfection option. Reverse the car, setup your gym, work out, pack away and pull in the car. 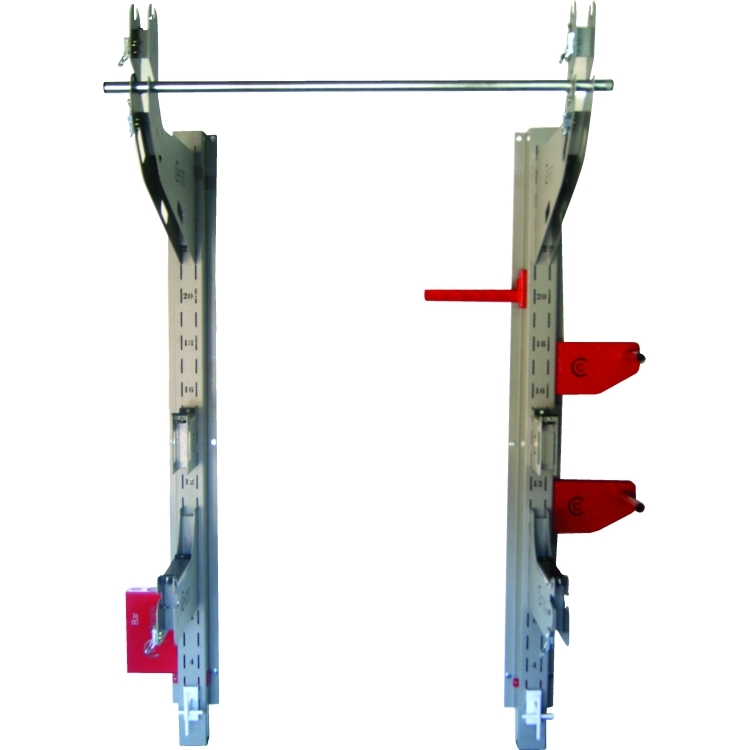 Storage options are available for the Olympic bars and plates too.